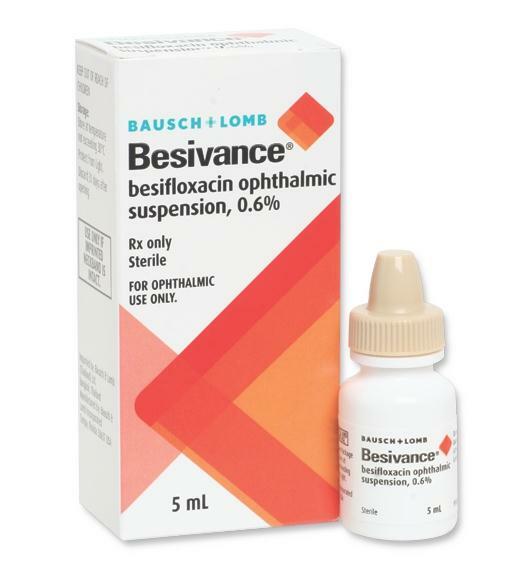 Sterile Besivance 0.6% drops in 5 mL dropper bottle. Generic name is Besifloxacin HCl. Manufactured by Bausch & Lomb. NDC Number: 24208-0446-05. Comes as singles.